NOTE: This group is NOT for advertising. It is for exchanging links with other wedding vendors. 4) A link to a web page on your own website where you will also be willing to place other vendors' links. This web page should be on a wedding-related website and easy to navigate by your site's visitors and by search engines. Step 2: If you identify a vendor within this Group that you want to exchange links with, then reach out to them by sending them a private BridalTweet message. You need to be a member of Wedding Vendor Link Exchange to add comments! I'm excited to be here with fellow wedding vendors. I started Custom Wedding Pillows the beginning of this year and design beautiful custom keepsake pillows. I would love to do link exchanges with other vendors and because we are brand new I offer a 10% referral bonus to vendors. I am using our blog platform for link exchanges where a photo can also be included. Our business is online and we ship nationwide. Good afternoon fellow wedding vendors. We are a Charleston, SC based wedding planning and coordinating boutique. We offer 4 levels of planning and coordinating packages. We would love the opportunity to exchange references if any of you are local to Charleston, SC. Our company is called Be My Guest - Events at sea. We offer wedding and event private charters on yachts for 2 to 400 guests in South Florida. so excited to be a part of this network of wedding professionals. We are a travel agency specializing in honeymoons, destination weddings, vow renewals, anniversaries and more! You can email me @ andrea@exquisitevacation.com or visit our website www.exquisitevacationstravel.com to learn more about us. 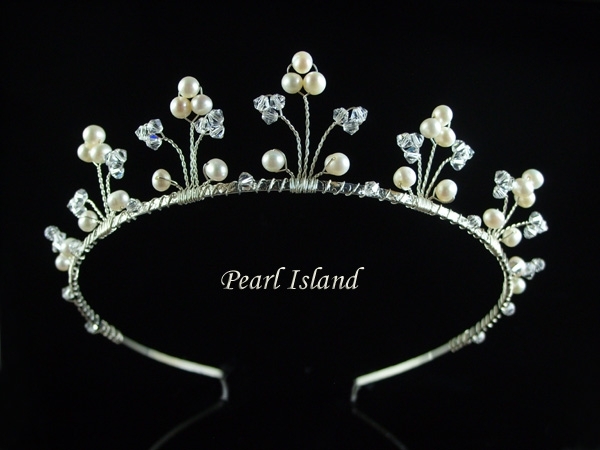 Pearl Island’s range of wedding jewellery caters for not only the bride, but the bridesmaids, flower girls, mothers of the bride and the groom. Handmade in the UK, the pearls are genuine and come in a variety of colours, from the traditional whites and ivories to pinks, greys, reds and yellows. Please see our link page at http://www.pearlisland.co.uk/Other-sites-of-interest Once you provide us the link information, we will add it to this page. Hi - We are a unique wedding registry for original art. We are looking to collaborate with high end Wedding and Event Planners and Bridal Couture for link and blog exchanges. If you are interested please contact us at info@mishkalo.com. We would be glad to exchange links related to wedding business. Kindly contact us at info@mackmarkcards.com.